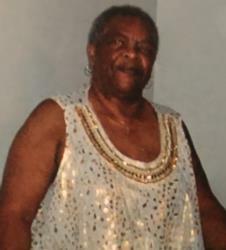 HURLEY - Lucille Hurley, a resident of Jacksonville, Florida passed away on February 5, 2019. Funeral will be held on Saturday, February 16, 2019 at 11AM at In The Word International Church, 925 Spearing Street. Ms. Hurley's remains will rest for visitation of family and friends on Friday, February 15, 2019 at the church. Arrangements entrusted to the MIXON TOWN CHAPEL of Q. L. Douglas Funeral Home, 2403 Edison Ave.